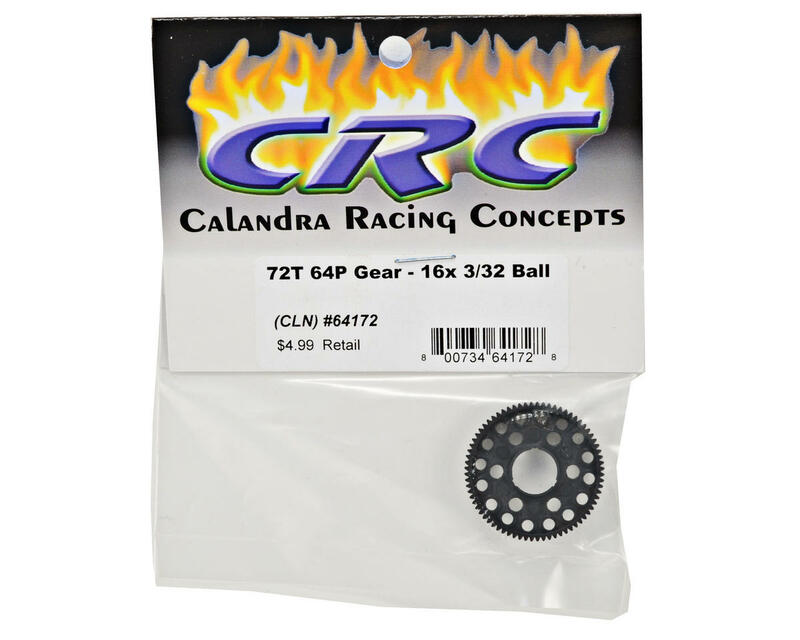 Calandra Racing 64 Pitch 16 Ball Pan Car Spur Gear. This spur gear uses 16 3/32" diff balls rather than 6 to 12 1/8" balls. This is done to reduce weight and maintenance by increasing the surface contact area, so less tension is needed on the diff nut to keep the diff from slipping. 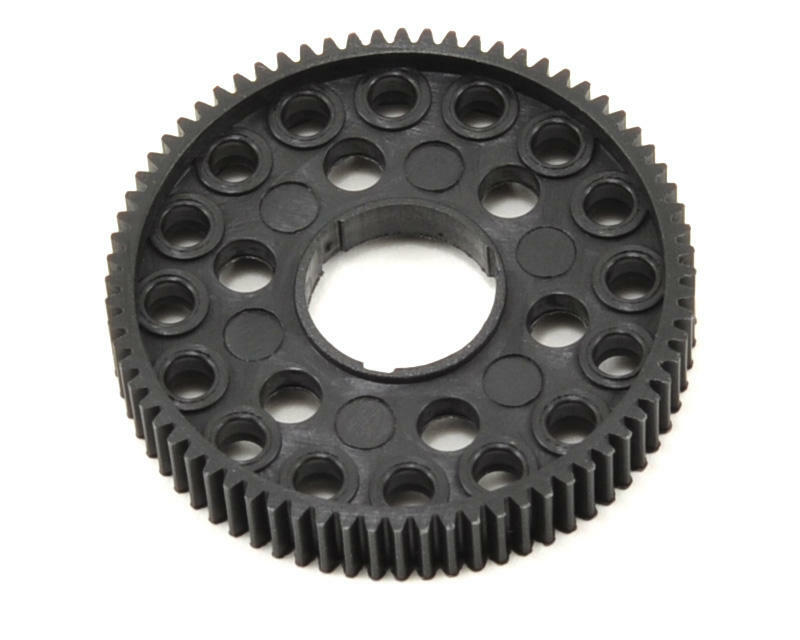 These gears are available in multiple tooth count options to fine tune torque and top speed.